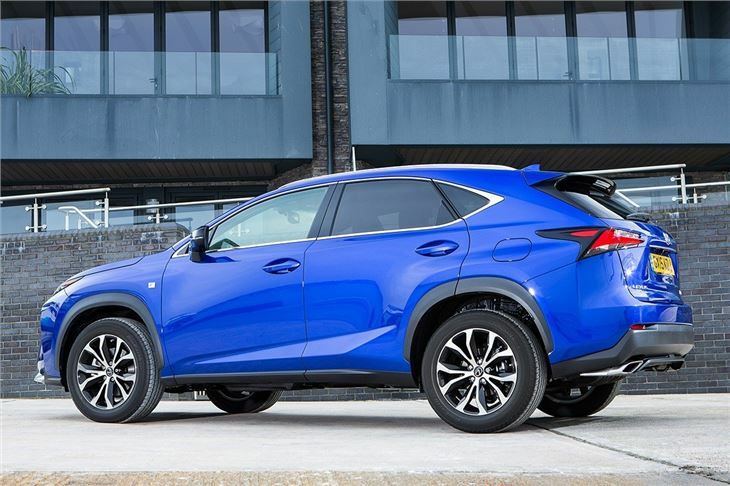 If you’re in the market for a crossover then you’re spoilt for choice. But many crossovers follow the same styling path. 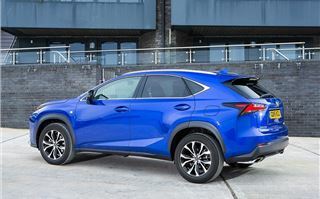 Not so with the Lexus NX, a smaller alternative to the RX. 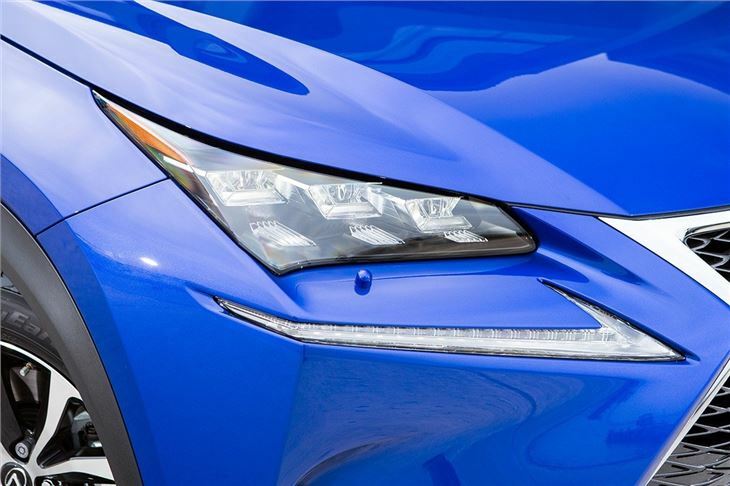 It’s a bold-looking car, with lots of straight, slashed lines and creases. If you like that kind of thing then there really isn’t anything else on sale quite like it. 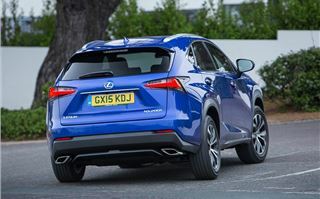 Lexus offers the NX in two versions - 300h or 200t. The 300h is a familiar hybrid also used in the IS300h saloon, while the 200t, tested here, is a 2.0-litre turbocharged petrol with 238PS. 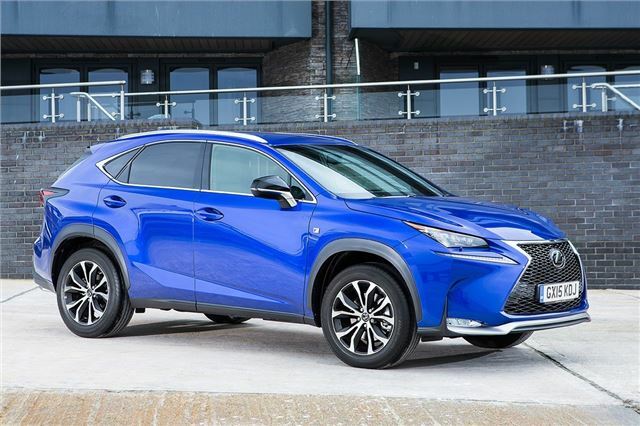 Unlike the hybrid, which uses a CVT automatic gearbox, the 200t has a traditional six-speed automatic, designed to give the NX a performance edge to suit its aggressive look. On paper it seems to have worked. Getting from 0-62mph is taken care of in a quick 7.1 seconds, plus overtaking and motorway sliproads are painless thanks to 350Nm of torque, available from low revs. 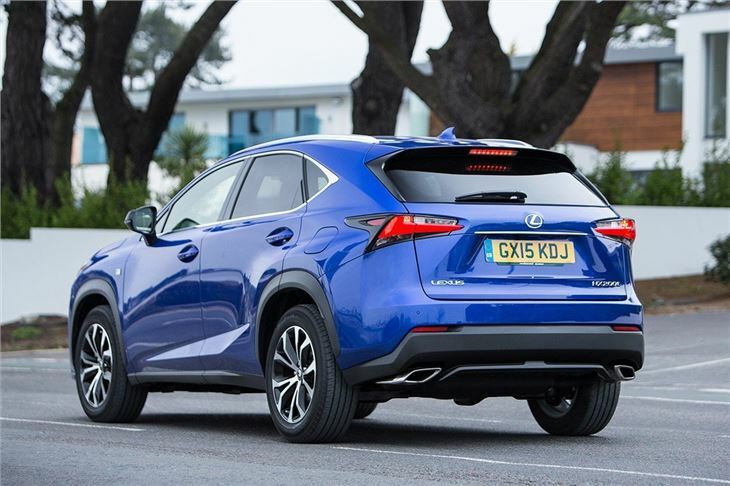 Despite those numbers the NX doesn’t really feel very swift, thanks in part to the excellent refinement - there is barely any noise even at high speeds, whether from the engine or from the road. So far so good - but it’s not all impressive. 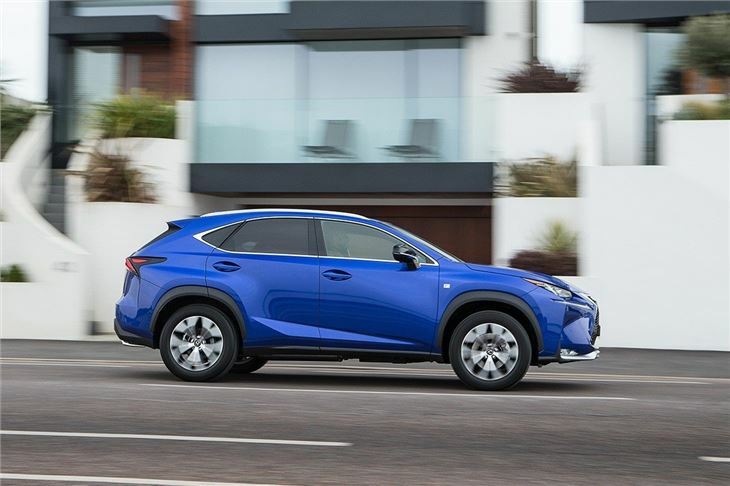 The six-speed automatic is slow and cumbersome when tasked with any kind of spirited drive. It’s almost as though the gearbox is taken by surprise when you ask it to do any hard work, taking quite some time to kick down into a lower gear. On the plus side it is smooth and user-friendly when you’re driving around town or cruising along the motorway. Through corners the NX performs well enough. Body control is good, without too much lean, plus the steering is nicely weighted. You can almost overcome the troublesome gearbox if you select manual mode - but that’s not really the point. 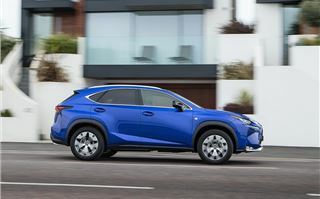 The NX is far happier driven at a smoother, more sedate pace, where the comfortable suspension and great refinment come into their own, making for a relaxing journey. The interesting exterior look continues in the cabin, with a chunky, angular centre stack standing out as the most prominent feature. This is topped with a colour infotainment system controlled by either a rotary controler or a frankly weird, laptop-style touchpad where you’d normally find a handbrake. 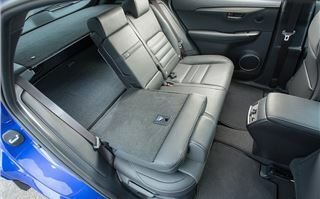 It’s far from intuitive and lets down an otherwise impressive cabin, which is well finished and attractive. 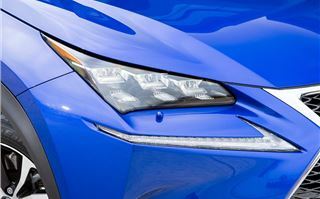 The material quality is very good with the exception of a few painted, faux-metal details that were already wearing through on our nearly-new test car. 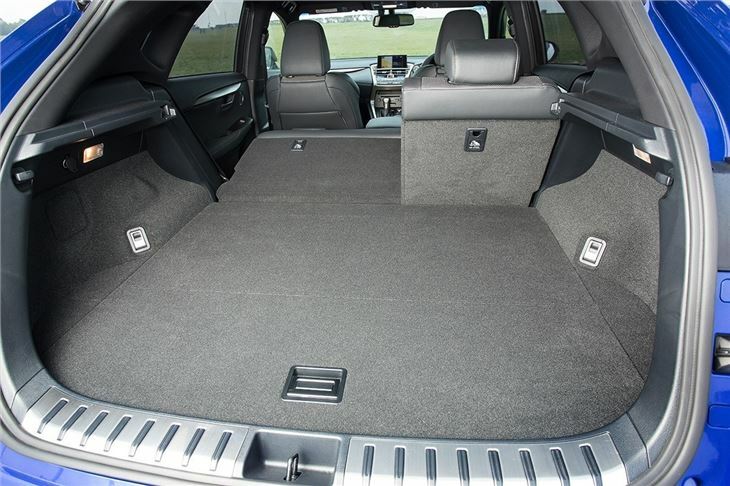 The back row of seats is spacious enough for adults, while the 425-litre boot is well-shaped and sized. 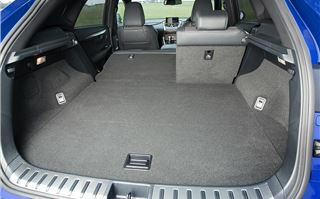 The only issue here is a fairly high load deck, which will make heavy or oddly-shaped items a pain to get in and out - though that is typical of most crossovers. 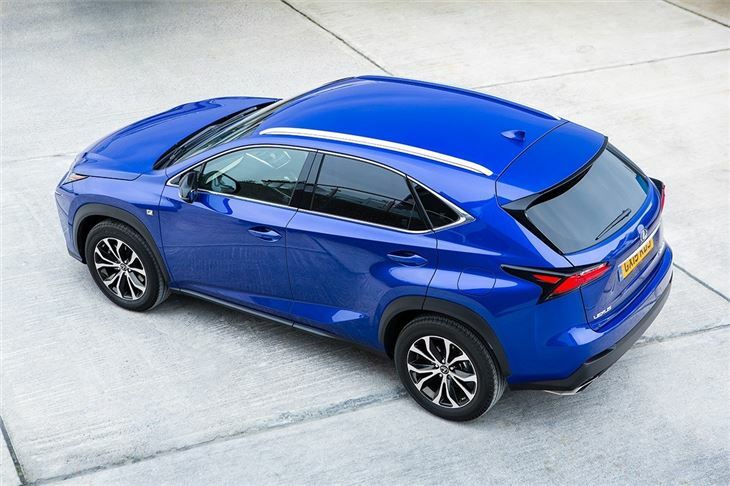 The NX200t is only offered in higher F Sport trim, which means you get plenty of standard gear including big 18-inch alloy wheels, heated seats, a power tailgate and a nifty wireless smartphone charger, though that will only work on smartphones designed for wireless charging. There’s also sportier suspension versus a basic NX, but ride quality isn’t impaired too much. 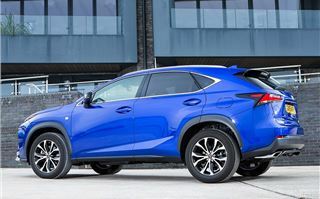 This equipment is in addition to the basics from lower trim levels, including auto wipers, auto lights, keyless entry and start and even a cute little removable vanity mirror. There is still a wide selection of optional extras, though, including a panoramic roof and Lexus Premium Navigation, which includes an absolutely fantastic audio system but costs a steep £1995. 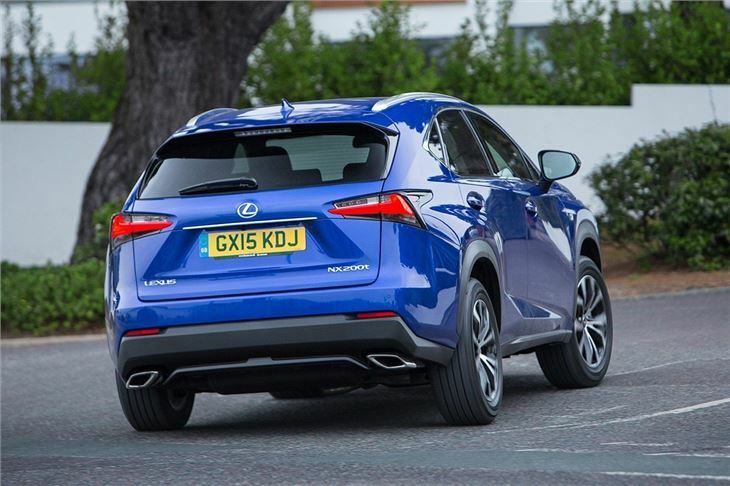 Even in basic, option-free form the NX200t gets a decent level of standard gear - and so it should for £38,095. 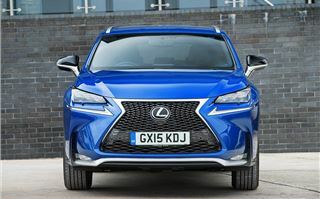 For that much you can get a nicely equipped Audi Q5 or BMW X3 with a diesel engine - and diesel power will be a major draw to company car buyers, thanks to its better fuel economy and lower emissions - when it comes to company car tax that makes a real difference. Perhaps more important is the other Lexus NX variant. 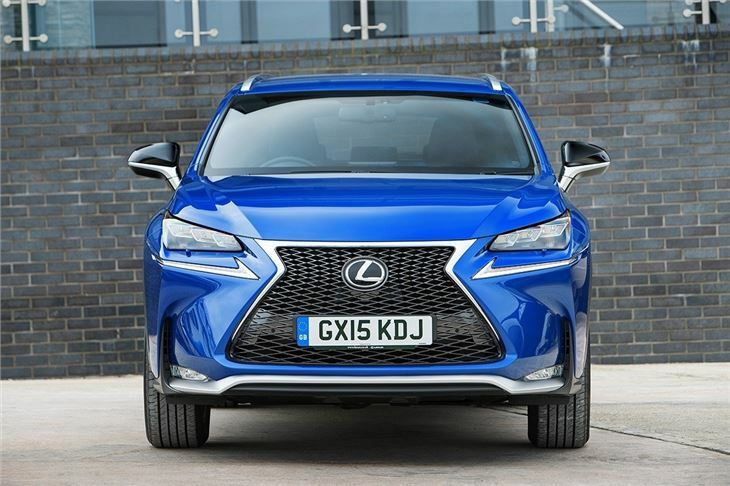 The NX300h is available for less than £30,000 in basic trim and it is appreciably more efficient than the NX200t. Economy is 54.3mpg and emissions are 121g/km, versus 35.8mpg and 183g/km for the 200t. 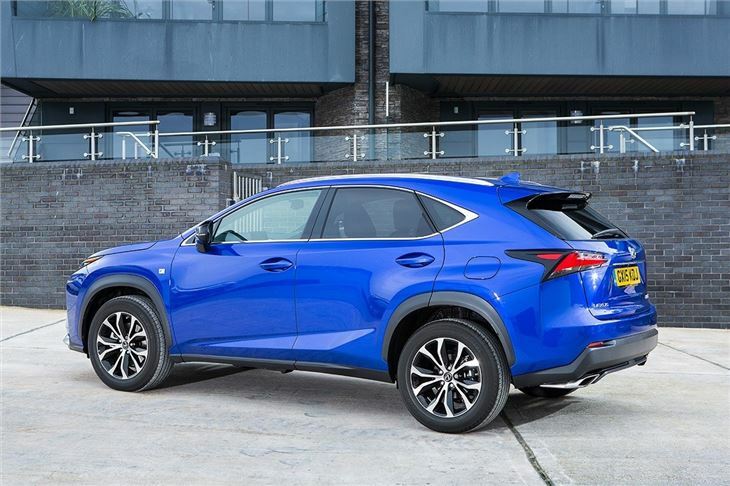 Those numbers make the NX300h a much more appealing choice for a company car driver. 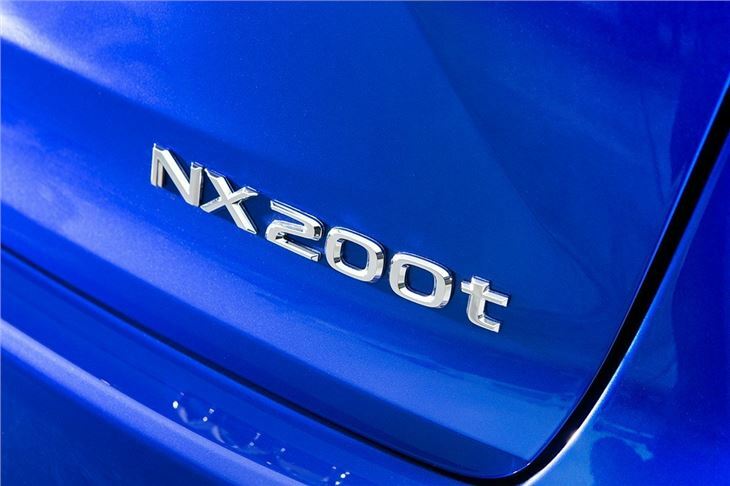 That’s not to say the NX200t lacks appeal. It looks great, has a high-quality cabin and it’s easy to live with. 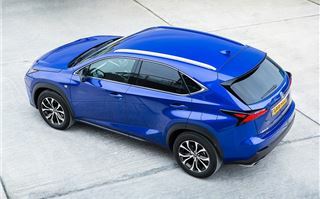 But then all of those attributes apply to the NX300h hybrid. 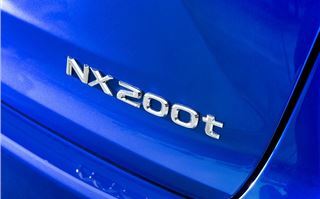 In fact the NX200t only really makes sense if you absolutely must have the flashest, priciest model in the range. Everyone else will be happier and better off with the hybrid.